This is the story of just one child whose life has been changed because of the generosity of donors to Promise: The Campaign for Texas Children's Hospital. Said, 5, went to Texas Children’s emergency center after experiencing a cough, congestion and diarrhea. After several tests, he was admitted as an inpatient and diagnosed with a potentially fatal congenital primary immunodeficiency disorder. His family did not have the resources to obtain the care Said needed, and he had suffered permanent organ damage and serious impairment to bodily functions. His mother had applied for emergency Medicaid, but there was a substantial gap in coverage while the application was being processed - and if he was deemed eligible, Medicaid would still not cover many of the services he would need on an ongoing basis. Funds from our Charity Care program provided assistance for ongoing follow-up treatment at the outpatient clinic and expert medical care including orthopedic surgery, infectious diseases neurology, social services, Child Life services, occupational/physical therapy, and monthly intravenous injections. More than 50% of Texas Children’s patients get their health care coverage from Medicaid or CHIP, while some have no insurance at all. 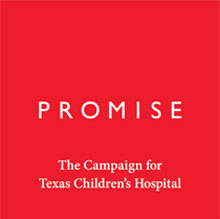 When Texas Children’s Hospital opened in 1954, its founders made a promise that it would be a place where all children would receive the very best care, regardless of their families’ ability to pay. We have kept that promise with our hospital continuing to provide more than $13 million in charity care each year.